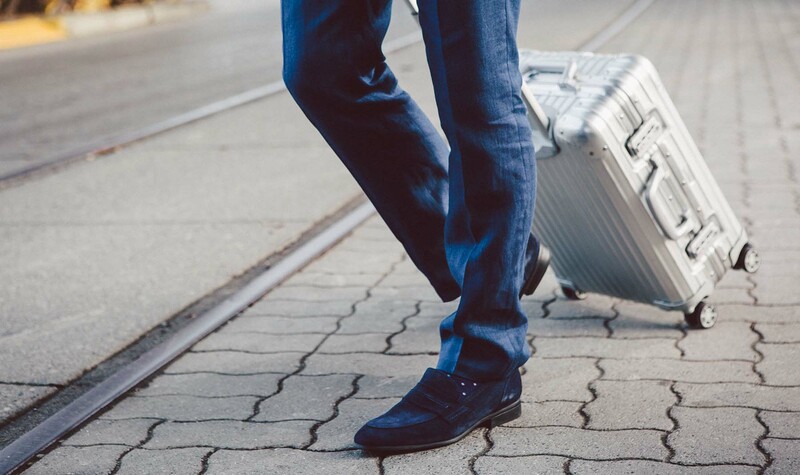 The conundrum: how do you pack light for a business trip when suits, shoes and trousers are needed? 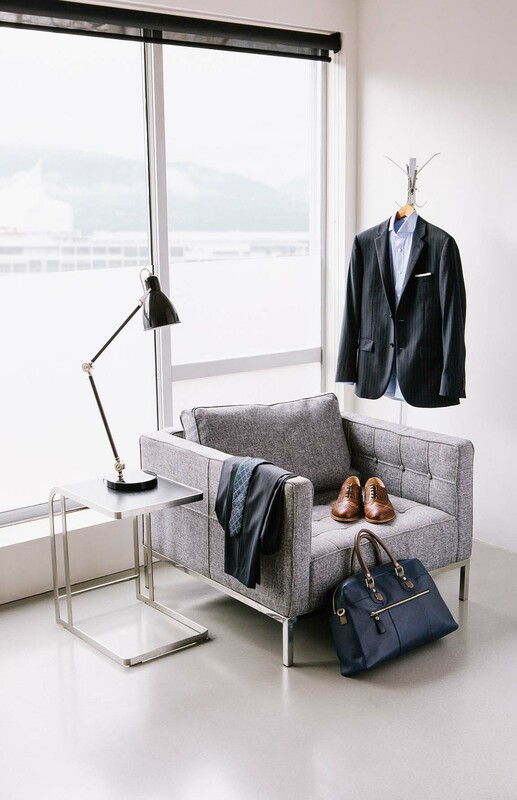 We’ve already discussed how to make sure your suit arrives looking its best, so now let’s look at what to pack to maximize your space and style when traveling for business. Before deciding what to pack think about what you’re going to pack it all in. If you travel frequently you’re no doubt well-acquainted with the risks and hassells of checked baggage—long lines and the possibility of lost luggage—which makes having the right carry-on essential for efficient travel. Try a sturdy hard-case suitcase with four wheels for easy, safe transportation. Most business trips tend to be quick and straightforward, which means this isn’t the time for extra items. How long will you be on the road? 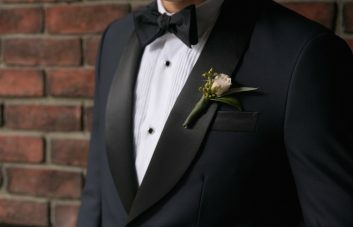 Think about how many meetings you have booked and what the dress code will be for all the events you’ll be attending. If your trip is on the short side, bring a button-down shirt for each day (plus an extra just in case) and pack one suit in a classic color like gray or charcoal. For longer trips that are a week or more in length, pack a second suit in different color like burgundy or midnight blue for some variety. Keep in mind that thicker fabrics wrinkle less, but take up more room in your bag. 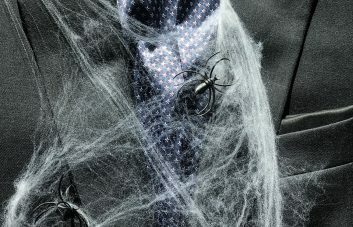 We recommend traveling with a sharkskin suit because it’s less prone to wrinkling. If you’re worried about looking rumpled and unprofessional on the road, take a hand-held steamer that’s designed for the traveling. Depending on the length of your flight, you may also opt to wear your suit on the plane. This will ensure you won’t have to take a wrinkled suit out of a bag, and it’ll ease the transition from the tarmac to the boardroom when you have to head directly to a meeting from the airport. 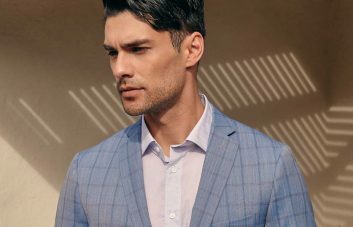 If you have a longer flight and don’t want to muss up your suit during your travels, check out our guide to packing your suit so it arrives wrinkle free. To maximize on space, pack a just a few versatile accessories that can be worn with multiple outfits. If you’ve planned your outfits right, the same accessories will work with all your suits. Bring at least two ties in neutral colors and a pocket square, just in case you want to add that extra touch. Pack two pairs of shoes—one pair of leather dress shoes and a pair of comfortable leather brogues—a belt that will match your shoes and your suits, and your watch to keep you on schedule. Only pack the toiletries and personal items you absolutely need. Unless you’re super particular about your grooming products, there’s no need to bring things like shampoo or soap, as most hotels provide them. Instead, focus on packing all the other necessities you’ll definitely need: chargers for your phone and laptop, a wireless card to access the Internet if you’re stuck with spotty wifi, and flash drives to ensure that all your information is backed up and your presentation files are easily accessible. Keep a pack of mints, some Advil, and antibacterial gel handy—you never know when you’ll need those—and remember to have a handful of business cards on hand at all times. And of course, don’t forget your passport! 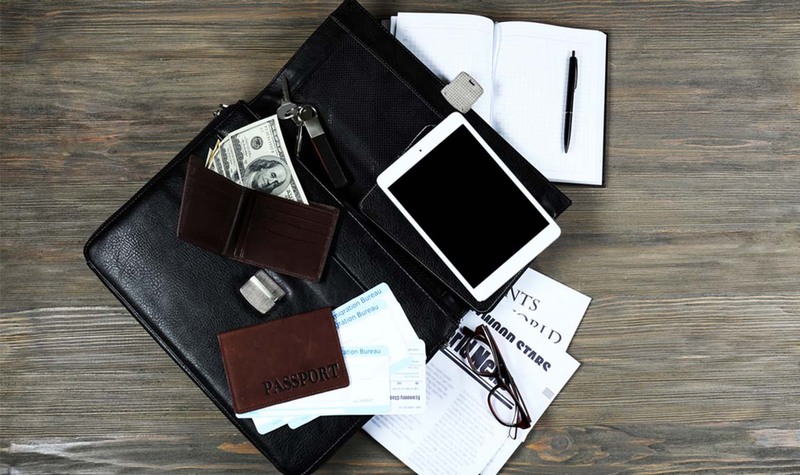 Planning for business travel does take a bit more consideration than a fun vacation, but with these tips you won’t need to worry about anything other than the business at hand. Happy packing! In need of the perfect travel suit?